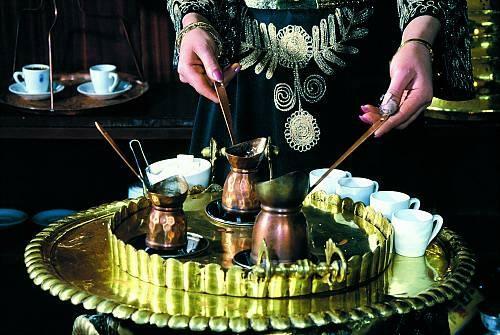 Turkish coffee combines special preparation techniques with a rich communal traditional culture. It is mainly drunk in coffee-houses, where people meet to converse, share news and read books. The tradition itself is a symbol of hospitality, friendship, refinement and entertainment, permeating all walks of life. Turkish coffee also plays an important role on social occasions such as engagement ceremonies and holidays; its knowledge and rituals are transmitted in an informal way by family members through observation and participation. Authors and personalities: Nermin Aktolun, director.